This Memorial Day weekend, follow Alice down the rabbit hole as she embarks on a topsy-turvy journey in Contra Costa Ballet’s whimsical, one-hour version of “Alice in Wonderland.” Choreographer Robert Dekkers of Post:Ballet brings new vision to an old-fashioned tale in which Alice explores a fantastical world where an elusive rabbit dances with his pocket watch and a Cheshire cat disappears…only to reappear where least expected! “Alice in Wonderland” features an original score by Bay Area composer Daniel Berkman, who brings a fresh concept to the production by highlighting each character with a unique musical instrument. Berkman’s eclectic combination of musical styles and tempos mimics the atmosphere of the surprising world in which Alice finds herself. Filled with luminescent, animated flowers and marching playing cards, “Alice in Wonderland” is a visual treat for audiences of all ages. Created by costume designer Marlowe Bassett, Alice’s rose-colored Victorian dress, the Caterpillar’s vibrant larger-than-life headpiece, and the White Rabbit’s and Queen of Heart’s unique steampunk-inspired costumes, add to the wonder of a magical production punctuated with unexpected visual surprises. “Alice in Wonderland” features the dancers of the Contra Costa Ballet Centre with Tara Henrikson dancing as Alice, Alina Gonzalez as the Queen of Hearts and Nancy Griswell dancing the part of the Mad Hatter. Guest artist Christian Squires will dance the role of the White Rabbit, and Michael Wells will appear in the roles of the Joker and Cheshire Cat. Wells, originally from Atlanta, Georgia, has danced with notable companies including New York Theatre Ballet and Smuin Ballet. Originally from South Carolina, Squires has danced with such renowned companies as Boston Ballet and Oregon Ballet Theatre. Both dancers currently dance with Diablo Ballet. 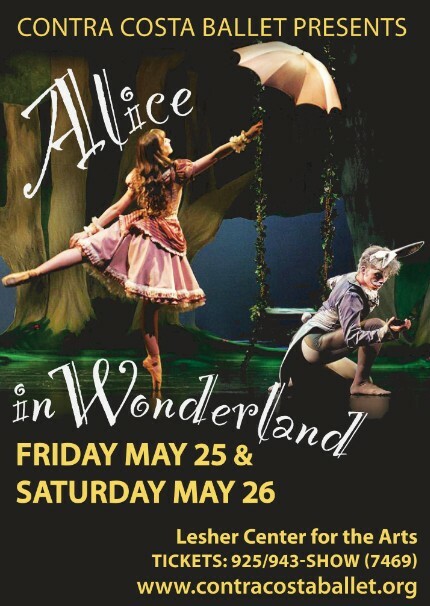 Contra Costa Ballet’s production of “Alice in Wonderland” will be on stage at the Lesher Center for the Arts on May 25th and 26th. 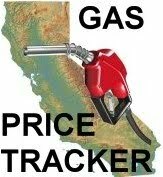 Tickets are available at www.contracostaballet.org or by calling 925-943-SHOW (7469).